The Marxist conception of the division between mental and manual labor is a critical yet unrecognized aspect of contemporary political struggles. Departing from this novel argument, Michael Bray traces the conceptual and socio-political history of this labor division and emphasizes how the forms of control and organization articulated by that division in practices of production, democracy, racialization, and financialization are becoming increasingly important. 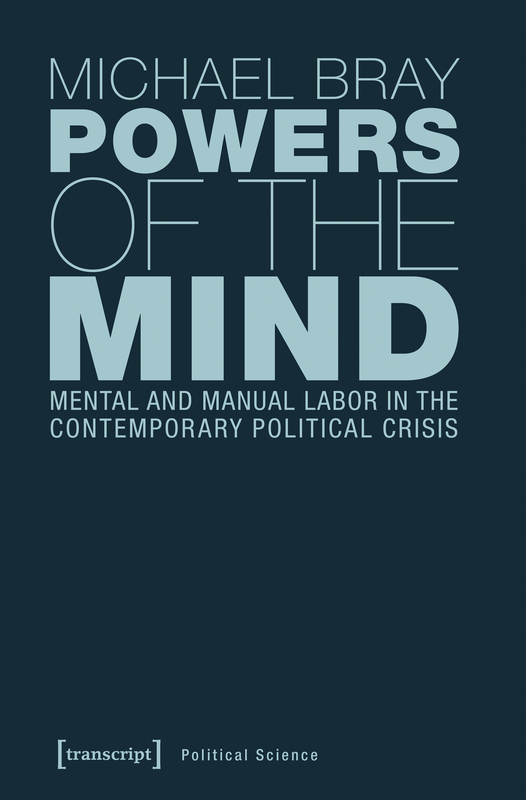 Critiquing the left for its tendency to side implicitly with the powers of mental labor, Michael Bray shows that comprehending and challenging those powers is a pivotal task for anti-capitalist politics today. In recent years, my social media feeds have been filled with academics and professionals accusing everyone who supported the Tea Party or Trump, or who didn't vote, of stupidity and ignorance, thus seeming to prove the populist assertion that ›they think they know better than you!‹ There's a mix of naiveté and cynicism in a lot of leftist politics that implicitly assumes education and expertise, forms of mental labor, as the basis for good politics, implicitly defending the systemic link between knowledge and control. The book is an effort to map out how we got here and what it means. 2. Which new perspectives does your book offer? It places some key forms of contemporary politics – elitism, meritocracy, populism, knowledge economy, general intellect, etc. – into a historical context that links them to capitalist relations of production and reproduction. Seen in that frame, the moralistic, romantic, or idealist aspects of much political theory becomes clearer: we can't meaningfully transform the world through an avant-garde of radicalized knowledge workers, as some contemporary Marxist or anarchist approaches seem to suggest. It defines dismantling the separation of mental and manual labor as a central task of politics. My hope is that the book speaks to current political debates – from populism to race to technology – as much as research ones and that it does so by pushing academic and professional leftists to take more seriously both the mental/manual labor division and the canny ways in which the right has manipulated it for its own gains. I think the book helps to explain why ›progressives‹ have had such difficulty mobilizing any meaningful resistance to neoliberal capitalism. And I hope it provides some useful concepts for the tool kit of anti-capitalist projects today. Any person who doesn't vote, who doesn't see politics as having anything to do with them. On one level, the message of the book is: you're right; but at the same time, it's trying to ask what a different form of politics would look like, one that speaks to and gets a handle on the forms of power and control to which we are increasingly all subjected. So, we need to talk about that. Resuscitating the left requires breaking its drift into alignment with the ideological notion of a ›knowledge economy‹, a critical awareness of the ongoing separation of mental from manual labor, and efforts to begin its dismantling.